IREM : Housing Management Resources has been a member of the Institute of Real Estate Management® (IREM) since 2002. 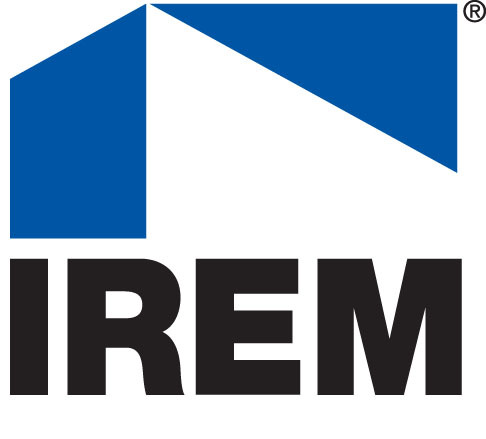 IREM is an international community of real estate managers dedicated to ethical business practices, maximizing the value of investment real estate, and promoting superior management through education and information sharing. An affiliate of the National Association of Realtors, IREM is the home for all industry professionals connected to real estate management — and the only organization serving both the multi-family and commercial sectors. IREM believes that good management matters, and that well-managed properties pay dividends in terms of value and in the quality of life for residents, tenants, and customers. IREM believes in professional ethics, the power of knowledge, and the importance of sharing it. IREM AMO : Housing Management Resources is part of an elite group of management firms recognized as an Accredited Management Organization® by the Institute of Real Estate Management. The AMO accreditation is the only recognition of excellence given to real estate management firms. The accreditation recognizes excellence among real estate management firms in education, ethics, business and financial stability set forth by IREM®. IREM CPM : Certified Property Manager (CPM) is a real estate professional designation awarded by the Institute of Real Estate Management (IREM) and recognized by the National Association of Realtors (NAR). The designation is considered to be among the industry’s premier real estate management credentials. HMR’s Trish Leonard, Sr. VP Operations, earned her Executive CPM in 2006. HMR’s Nancy Reno, VP Marketing/Training earned her CPM in 2006. NAHMA : Housing Management Resources is a member of the National Affordable Housing Management Association (NAHMA). NAHMA is the leading voice for affordable housing, advocating on behalf of multifamily property managers and owners whose mission is to provide quality affordable housing. As an advocate for professional standards for affordable housing providers, NAHMA holds a unique position in the industry. Founded in 1990, NAHMA’s membership today includes the industry’s most distinguished multi-family managers, owners, and industry stakeholders. HMR also participates with NAHMA on the local level including memberships with NEAHMA, NYAHMA, JAHMA, SAHMA, Mid-Atlantic AHMA, and MAHMA. NAHMA COQ : The National Affordable Housing Management Association created the Communities of Quality® (COQ) National Recognition and Awards program to recognize affordable housing providers who create safe, attractive, well-maintained properties that are neighborhood assets deserve to be recognized for their outstanding achievements. Properties must meet NAHMA’s high standards in physical maintenance, financial management, programs and services, employee credentials and other criteria, to become a member of this elite group. HMR is recognized as a NAHMA – National Affordable Housing Management Association COQ Corporate Partner. Management companies that have at least 50% of their property portfolio accepted into the COQ National Recognition program qualify for the Communities of Quality® Corporate Partner Designation. This designation was created specifically to honor management companies that successfully maintain a significant portion of their properties to the high standards of the COQ National Recognition program. NAHMA NAHP-E : HMR’ s Executive Leadership Team holds the NAHP-e® designation through NAHMA. The National Affordable Housing Management Association’s(NAHMA) National Affordable Housing Professional – Executive Level (NAHP-e) Certification was conceived and designed to recognize those individuals who own, operate, manage, or assist in the management of affordable housing and have demonstrated comprehensive apartment or asset management skills. Most importantly, NAHPs, through their commitment to Communities of Quality and the Code of Ethics, are dedicated to providing safe and decent housing to all eligible residents. SHRM : HMR is a member of The Society for Human Resource Management (SHRM.) As the world’ s largest association devoted to human resource management, and representing more than 250,000 members in over 140 countries, the Society serves the needs of HR professionals and advances the interests of the HR profession. Founded in 1948, SHRM has more than 575 affiliated chapters within the United States and subsidiary offices in China and India. CHAPA : HMR is committed to Citizens’ Housing and Planning Association’ s (CHAPA) mission which encourages the production and preservation of housing that is affordable to low and moderate income families and individuals. CHAPA fosters diverse and sustainable communities through planning and community development. NLHA : HMR is a member of the The National Leased Housing Association, which is a national organization representing all major participants (private and public) in the affordable multifamily rental housing industry. NLHA is a vital and effective advocate for 550 housing provider organizations and their consultants, specializing in federally assisted rental housing. IRHP : HMR is a member of The Institute for Responsible Housing Preservation, which is the leading national advocate representing owners and developers of affordable housing before Congress and HUD with respect to a plethora of preservation and redevelopment issues surrounding such housing. VHDA : HMR recently renewed our status as a Certified Management Agency in the State of Virginia. Virginia Housing Development Authority’s ‘Certified Management Agent’ Program was implemented because the Authority recognized that after the construction or renovation of a multifamily rental community, the most important factor of a property’s success is quality management. “VHDA’s Certified Management Agent Program allows our properties to be managed by the most capable, professional management companies in the industry,” said Neal Rogers, VHDA Manager of Asset Management.